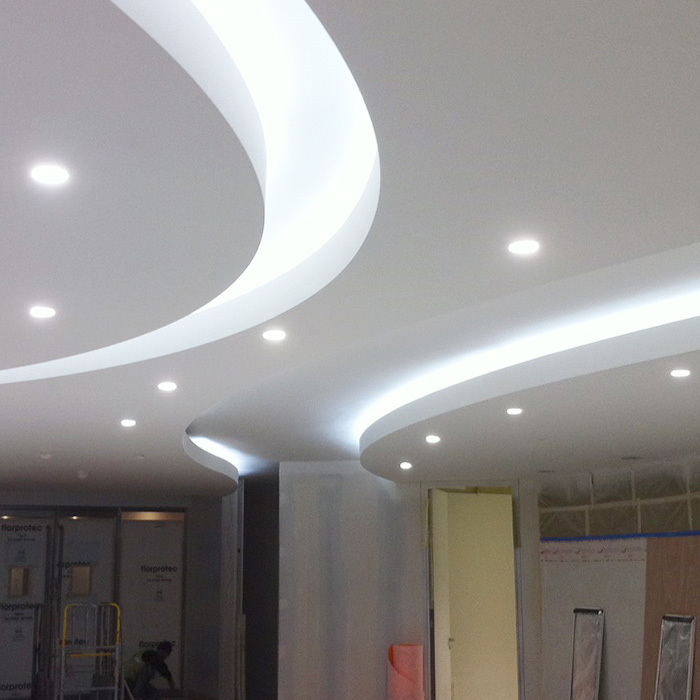 Feature Ceilings. 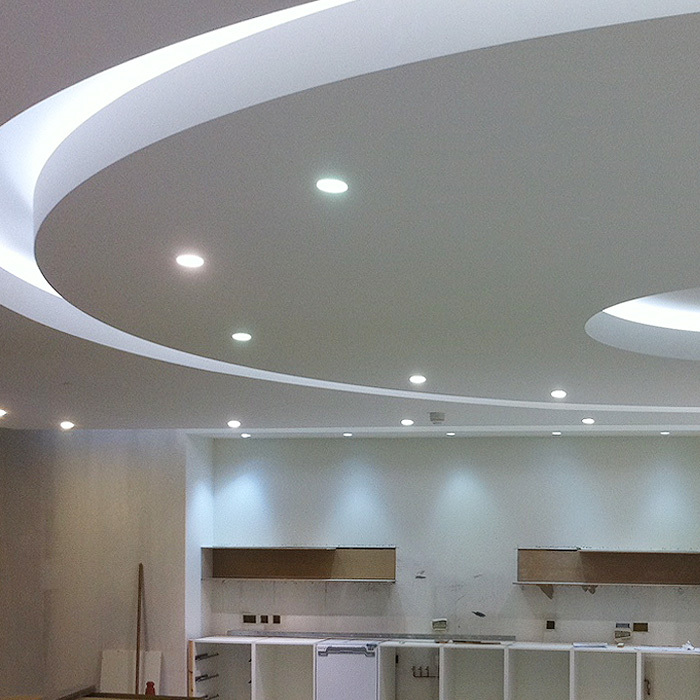 Airless Spray Plaster & Decoration. 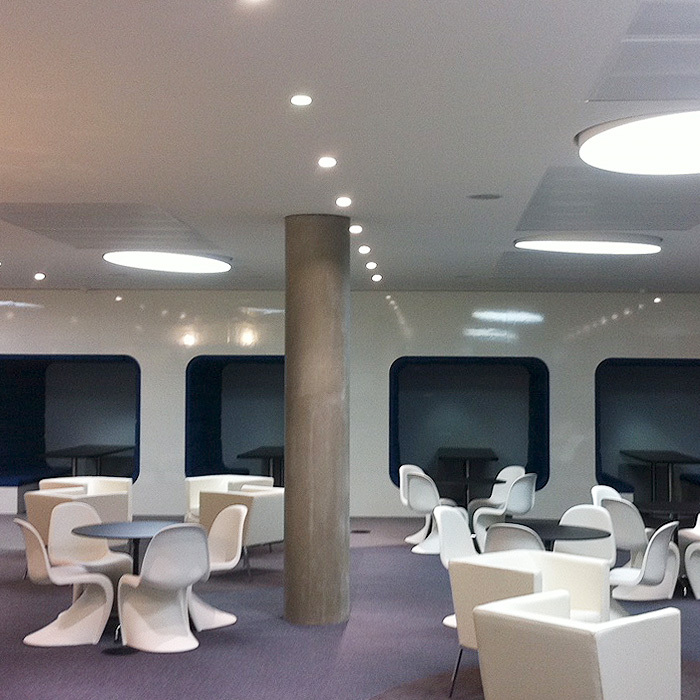 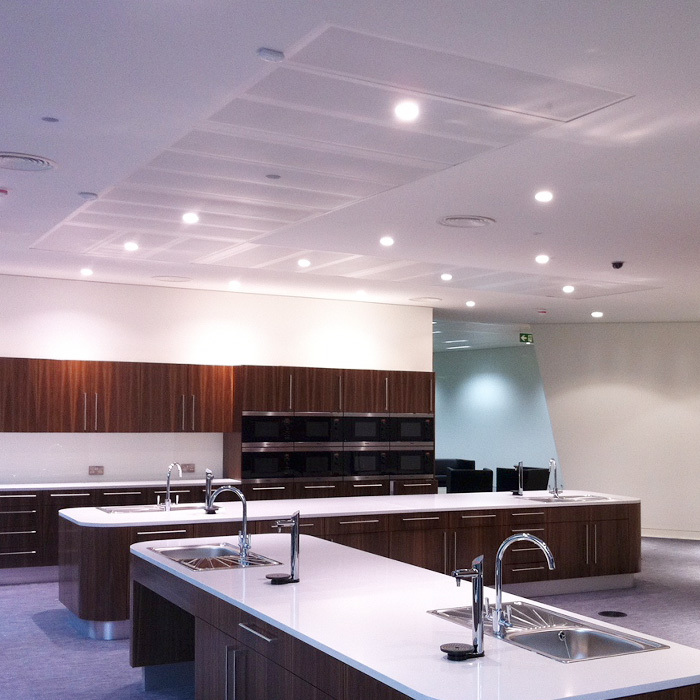 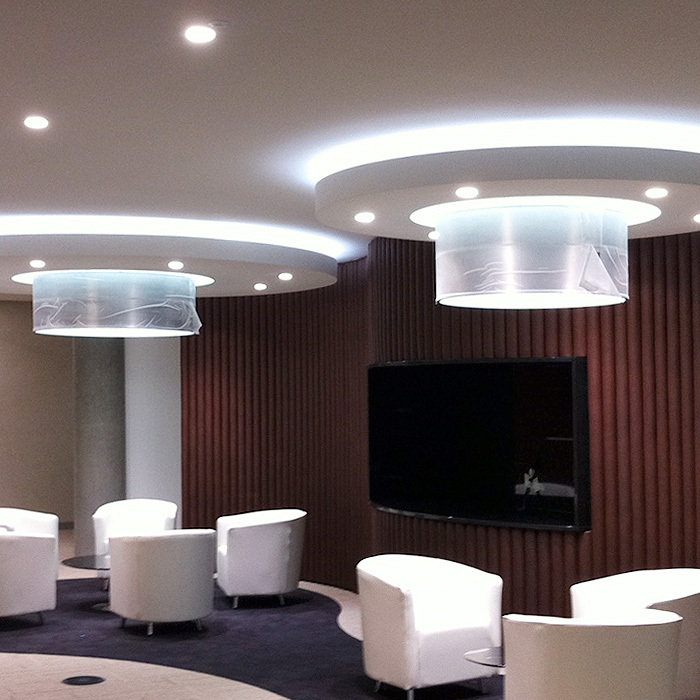 We were asked to bring together different substrates to form a seamless finish to feature ceilings. 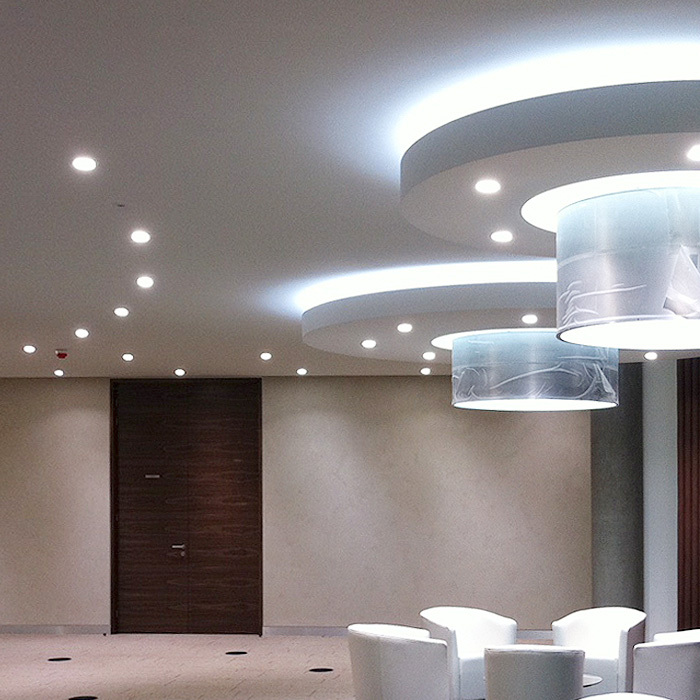 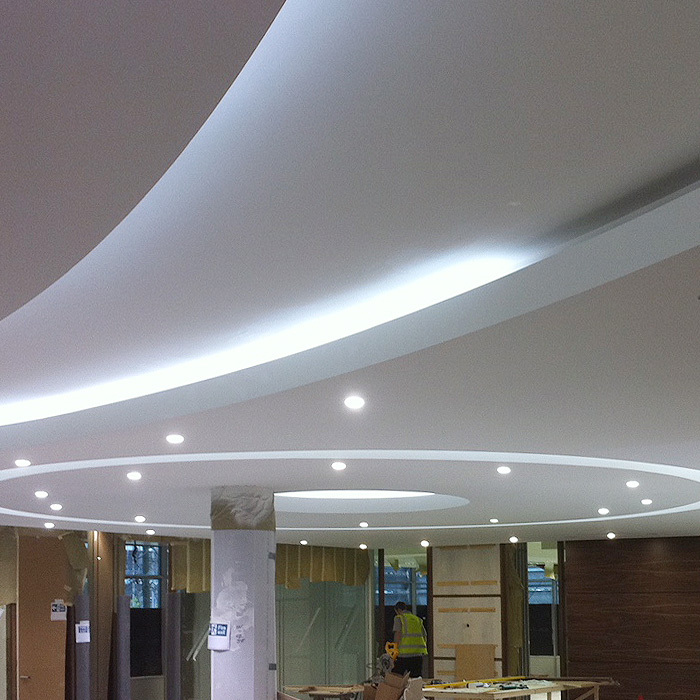 lighting troughs were formed using GRG moulds with main MF ceiling areas using plasterboard. 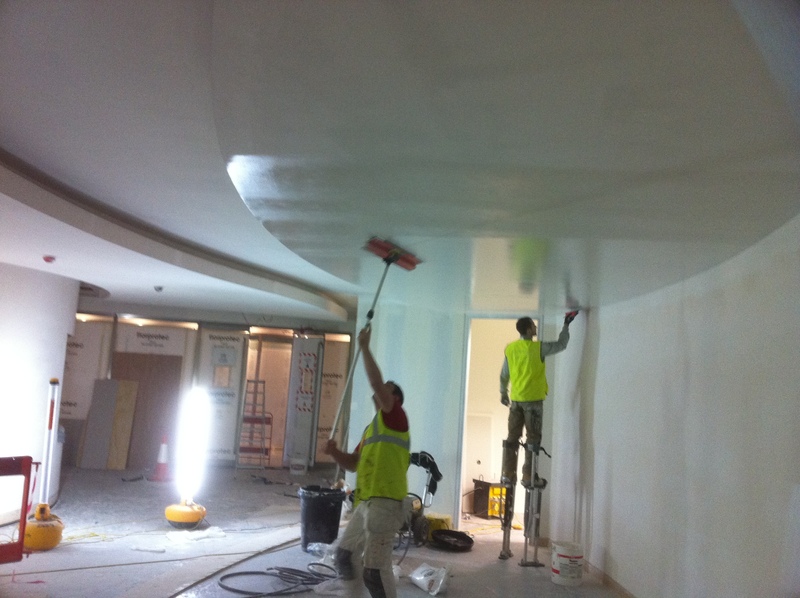 The finish was achieved by Jointing all substrates to the same level and applying two coats of airless spray plaster, finishing with dustless sanding using fine sanding pads.